CBD Oil for Fibromyalgia: Is it Effective, Safe, or Legal? CBD oil is getting a lot of popular attention as a potential treatment for fibromyalgia. So far, we don't have a lot of research on it, but we do have some—and it's promising. Still, a lot of people don't really understand what CBD oil is or how it works, and it tends to be wrapped up in the controversy over medical marijuana. That can make people hesitant to try it. There's also a lot of confusion over whether it's legal--but some positive changes on that subject. CBD stands for "cannabidiol," which comes from the cannabis plant. Yes, the cannabis plant is where we get marijuana from. However, CBD oil doesn't have any psychoactive properties, which means it doesn't get you high. CBD that's extracted from cannabis is being used for a lot of medical purposes, and you can find a lot of impressive-sounding claims online. Are they true? From a scientific standpoint, the answers are more like "possibly" and "some of them appear to be" than a firm "yes," and it depends on which claims you're looking at. As of mid-2018, CBD oil is not FDA-approved for any conditions. Research in the United States is in the early stages, though, since for decades, legal restrictions made it extremely difficult to study the medical benefits of marijuana or any of its components. We may see applications submitted to the agency as research continues to move forward. 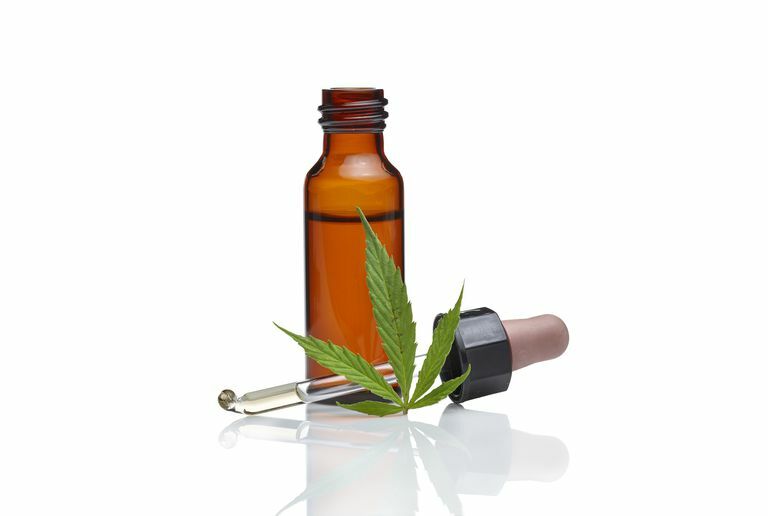 CBD oil is used in various ways. You can smoke it, swallow capsules, use it under the tongue, in spray or drop form, and topically. General CBD research is in its infancy, so research on CBD for fibromyalgia could be considered embryonic. We just don't have much to go on right now. A 2016 survey of the literature concluded that there's not enough evidence to recommend any cannabis-based treatments for fibromyalgia or other rheumatic conditions. First, we have a pain epidemic in the U.S., and fibromyalgia is a major contributor to that. Current treatments just aren't good enough for most of us, so there's an enormous financial incentive to find something that's better at relieving our pain and other symptoms. Third, CBD oil is believed to be effective against pain and inflammation, and, in its pure form, it's generally regarded as safe. Fourth, while anecdotal evidence certainly isn't scientific proof of anything, we have an abundance of it from people with fibromyalgia who say CBD helps them, and you can bet that when patients who have hard-to-treat conditions tell their doctors something works, it piques their interest. A 2017 paper published in Expert Opinion on Therapeutic Targets suggested CBD as a possible way to diminish the activity of brain cells called glia, which leads to central sensitization. That's a major feature of fibromyalgia and other central sensitivity syndromes such as chronic fatigue syndrome, irritable bowel syndrome, and migraine. Fibromyalgia also involves something called endocannabinoid deficiency. That's the system that deals with your body's natural endocannabinoids as well as cannabis products that you may take in. That makes cannabis products a promising treatment. Several studies have suggested that CBD can fight inflammation. Fibromyalgia isn't currently classified as an inflammatory condition, but research suggests that at least some cases may involve inflammation of a body-wide web of connective tissue called the fascia. If that's accurate, it could be one more reason CBD should be considered. Addiction and abuse don't appear to be problems with CBD, and it appears to have a low toxicity level meaning that it takes a lot to overdose. You'd think the question, "Is CBD legal?" would be answerable with a simple yes or no. It hasn't been, and while it's getting easier to answer that question, it's still not cut-and-dried. You've long been able to find a lot of claims by hemp growers and CBD sellers that their product is legal in all 50 states as long as it contains less than 0.3 percent THC. However, the 9th Circuit Court of Appeals ruled in 2018 that the law the industry uses to justify that claim doesn't apply. So, in states where marijuana and/or CBD is legal, there's no longer a clash between state and federal law. That's a win for those wanting to take CBD products medicianally. However, we still have some states that have specific laws on the books banning hemp products. So what does the Farm Bill mean for those states? Technically, federal law overrules state law. That doesn't mean that those states will stop arresting and trying people for CBD, though, especially if they want to challenge the new federal law. If you're in one of those states, be safe and talk to an expert about any possible trouble you could get into for using CBD products. The website ProCon.org has information about which states have laws specific to CBD oil. A site called Governing maintains a map of where marijuana is legal in some form. Certainly, you have a lot to consider when it comes to any treatment, and even more so when it comes to CBD. Consider the pros and cons—including the legal ones—carefully. Be sure to discuss this option with your doctor to make sure you're safe, and, as with any treatment, watch for side effects. With legal changes in store and more research coming, expect things to change rapidly when it comes to CBD oil and other cannabis-based treatments. We'll likely know a great deal more about the effectiveness and safety of these products a few years from now. Burstein SH, Zurier RB. Cannabinoids, endocannabinoids, and related analogs in inflammation. The AAPS Journal. 2009 Mar;11(1):109-19. doi: 10.1208/s12248-009-9084-5. Fitzcharles MA, Baerwald C, Ablin J, Hauser W. Efficacy, tolerability and safety of cannabinoids in chronic pain associated with rheumatic diseases (fibromyalgia syndrome, back pain, osteoarthritis, rheumatoid arthritis): A systematic review of randomized controlled trials. Schmerz. 2016 Feb;30(1):47-61. doi: 10.1007/s00482-015-0084-3. Hill KP, Saxon AJ. The role of cannabis legalization in the opioid crisis. JAMA internal medicine. 2018 May 1;178(5):679-680. doi: 10.1001/jamainternmed.2018.0254. Nijs J, Loggia ML, Polli A, et al. Sleep disturbances and severe stress as glial activators: key targets for treating central sensitization in chronic pain patients? Expert opinion on therapeutic targets. 2017 Aug;21(8):817-826. doi: 10.1080/14728222.2017.1353603. Piomelli D, Weiss S, Boyd G, Pacula RL, Cooper Z. Cannabis and the opioid crisis. Cannabis and cannabinoid research. 2018 Apr 1;3(1):108-116. doi: 10.1089/can.2018.29011.rtl. Russo EB. Clinical endocannabinoid deficiency reconsidered: current research supports the theory in migraine, fibromyalgia, irritable bowel, and other treatment-resistant syndromes. Cannabis and cannabinoid research. 2016 Jul 1;1(1):154-165. doi: 10.1089/can.2016.0009.